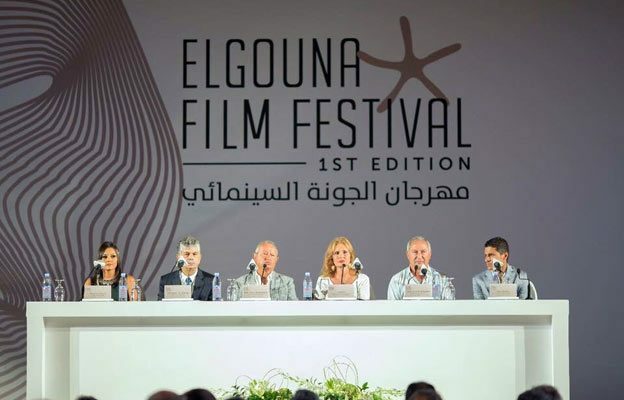 The grand finale of El Gouna Film Festival (GFF), the inaugural session of which took place at the Red Sea resort town of al-Gouna from 22 to 29 September 2017, was an evening to remember. It concluded a week of screenings, talks and workshops with an award ceremony and a screening of the documentary Human Flow by Ai Wei Wei. The festival was the fruit of an initiative by the two Egyptian tycoon brothers Naguib and Sameeh Sawiris, and saw light through the tireless efforts of actress and producer Bushra Rozza, international event organiser Amr Mansi, and producer Kamal Zadeh. It was directed by prominent Arab cinema programmer Intishal al-Timimi. On stage in the closing ceremony held in the festival’s open-air auditorium, Sameeh Sawiris, founder of El-Gouna, praised the festival’s organising team for their hard work quality, and expressed special appreciation for the governor of the Red Sea governorate, who greatly supported the festival and helped it navigate the red tape. GFF presented a selection of the newest films worldwide and hosted both established and emerging filmmakers. The programme included three competitive sections: Feature Narrative Competition, Feature Documentary Competition, and Short Films Competition, as well as an official selection out of competition and a section devoted to special programmes. It gave special attention to films with humanitarian content. 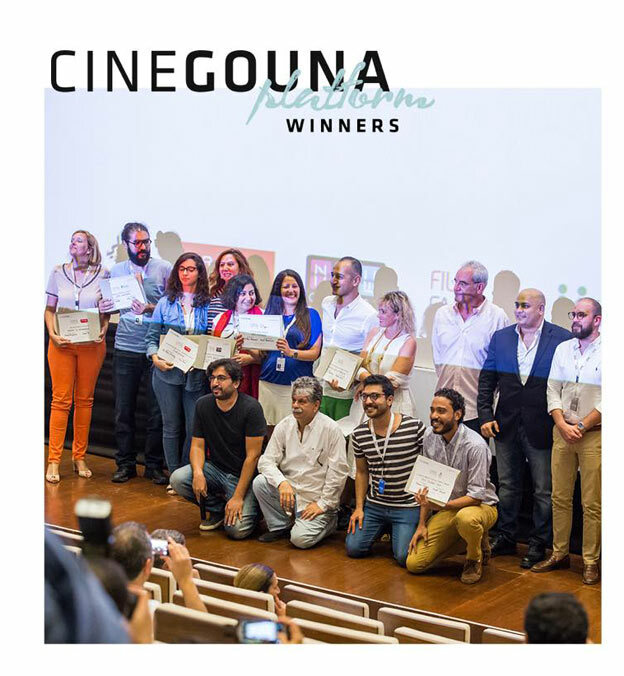 In parallel to the screenings, the festival organised the “CineGouna platform”, a creative and business hub designed to support Egyptian and Arab filmmakers. A wide range of meetings were organised between Arab and international directors, producers, and distributors with the aim of enhancing business opportunities for the Arab cinema. In addition, the event featured a number of round-table discussions, workshops, panels, and master classes. Attending the festival were a bevy of Egypt’s film stars, young and old. 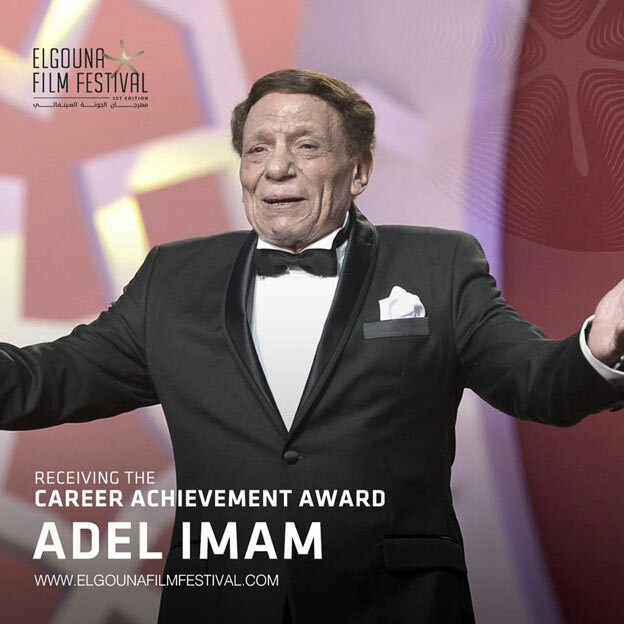 These included, among others, Nelly Karim, Dorra Zarrouq, Amr Salama, Hala Sheiha, Asser Yassin, Yusra, Mahmoud Hemeida, Hind Sabry, Dalia al-Beheiri, Ezzat Abu-Ouf, Sherif Mounir as well as the legendary veteran comedian Adel Imam who was awarded a Career Achievement Award. Among the international figures were American actor Forest Whitaker and Lebanese film critic Ibrahim al-Aris who both won Career Achievement Awards, American director Oliver Stone, and American actress, singer and fashion designer Vanessa Williams. “I’m really here because I love Egypt. I think it’s great that the theme of the festival is cinema for humanity, because that’s exactly what Egypt has to offer. The culture, the people, the warmth,” Williams said. Dylan McDermott and Emmanuelle Béart were also spotted mingling with the top echelons of the Egyptian film industry, the Arab world’s cinematic powerhouse. The festival had opened with Amr Salama’s Sheikh Jackson. The film depicts a sheikh who was nicknamed “Jackson” by his friends in school, and leaps to the event of Michael Jackson’s death in 2009 when it delves into the emotions stirred in Sheikh Jackson by the pop star’s death, sparking a series of existential questions. The film’s stars Ahmed El-Fishawy, Ahmed Malek, Maged El-Kedwany, and Amina Khalil attended the opening. The jury, headed by US producer Sarah Johnson awarded the Golden Star (the Red sea starfish) to the psychological thriller Scary Mother by Georgian first-time director Ana Urushadze. Scary Mother is about a 50-year-old housewife struggling to choose between her family life and a passion for writing, recently won the Sarajevo Film Festival’s top prize, and is Georgia’s selection for the foreign-language Oscar. French-Lebanese director Ziad Doueiri’s The Insult won the GFF’s Silver Star. It tells the story of a slur that ends up pitting a Lebanese Christian auto mechanic against a Palestinian Muslim in a publicly divisive court case, and is currently No. 1 at the Lebanese box office, despite a failed attempt to censor the film. El Gouna’s Bronze Star went to Russian drama Arrhythmia, about a hard-drinking paramedic’s domestic woes. Photocopy, by Egyptian first-timer Tamer Ashry, won the best Arabic feature. World premiere Soufra (Arabic for “feast on table”), a documentary executive-produced by Susan Sarandon about a group of women in the Burj al-Barajneh refugee camp south of Beirut who set up a catering business, took the section’s Mentor Arabia Award. Directed by Thomas Morgan, Soufra also won the festival’s audience-chosen Cinema for Humanity award. The festival was criticised for flawed organisation, however. Variety complains that: “Drivers got lost, the inaugural screening was halted because the open-air screen had shadows on it that marred the film’s visibility, and official parties were held without bothering to send out invitations. The press office did not open before 10am, and journalists were left to their own devices.